When Sheikh Mansour sanctioned the purchase of Manchester City back in September 2008, many neutral supporters believed that the Arabian Deputy Prime Minister would leave the club soon after. That, however, was wide of the mark and his claim that “we are building a structure for the future, not just a team of all-stars” is now humbly enshrined upon the wall at the entrance of the recently-built academy. This very ethos has been perpetuated in every single executive decision made by the club since. Eight years on and the Blues continue to build towards a sustainable future in which they hope to compete on multiple fronts. City’s new state of the art facilities constitute a Grade 1 Academy, the highest tier available. Containing 16 full-sized training pitches and a half-pitch specifically designed for goalkeepers, the complex offers a fertile base for further growth. Adjacent to the stadium, the academy is even connected to the main stadium by a quaint 60-metre bridge, symbolic of the bridge from academy action to first-team football and of the fact that the Blues’ young stars do have the potential for a direct route to the first-team. The academy stars, although on the periphery, are perhaps closer, both physically and figuratively, to possible first-team action than at other top clubs. A dedicated academy stadium with a 7,000-seater capacity enables their fine talents to be showcased to supporters; the Etihad Stadium is almost watching over the players that perform there. Putting all of the footballing services aside, it seems that City are definitely building for the future; they have also opened a dedicated school. In the club’s own words, the academy players have access to on-site education facilities so that they can hone their technique while receiving a high-quality education. The campus as a whole almost feels isolated from the rest of the world, in the most positive sense. From the minute that you set foot on the campus, you step into a new environment. Regardless of the typically grey skies and rainy drizzle of Manchester, the complex has its own completely contrasting climate, one of brightness and warmth. One of success. The environment is the epitome of aspiration and perfection. City examined a total of 70 facilities from a range of sports right across Europe, the USA and Australia before meticulously proceeding through 19 different designs until the final decision was reached. The arrival of Pep Guardiola as head coach at the Etihad has the City fans even more excited. And understandably so. He is arguably the best manager in world football and supporters will be well aware of his impressive managerial record, enjoying success and earning silverware with European giants Barcelona and Bayern Munich. Yet perhaps the most exciting aspect of his character is the extreme likelihood that he will ensure a further enhancement of the youth setup. Having invested vast swathes of money, the foundations are now in place for Guardiola to revolutionise the academy produce at the club. 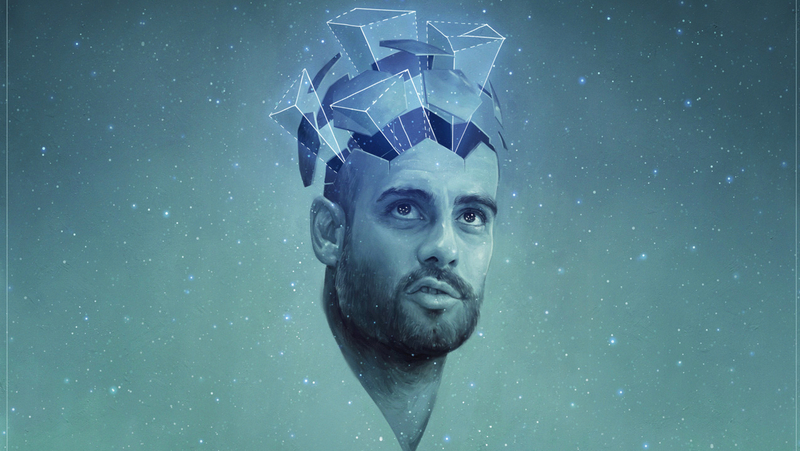 The so-called Pep dynasty is more probable than you might think. Several of the stars who could break through under Guardiola are not direct products of the academy but have, in fact, been harvested from other clubs and further developed. Such is the case with Kelechi Iheanacho; the young striker actually began his career at the Taye Academy in his native Nigeria. He unofficially joined the Blues’ squad in January 2014, aged 17, by which point work was already well underway on the new academy. If any evidence was needed, that fact highlights the sheer pulling power of the new facilities alone, even before their completion, as Arsenal and Porto were amongst those interested in acquiring his services. Other youngsters who could potentially break through into the first team under Guardiola include the likes of Brahim Diaz, the 16-year-old playmaking sensation who has sent shockwaves throughout youth football. He was signed in December 2013 from Málaga at the age of just 14, and has since been recruited by Media Base Sports – a talent agency run, funnily enough, by Guardiola’s brother Pere. The aim is that, one day, the Etihad Campus will be capable of producing the best talent in the world in line with City’s sustainable recruitment policy. Local English lads like Brandon Barker and Tosin Adarabioyo fit the mould. The former joined at the age of eight, whilst the latter was recruited at the young age of just five, with the pair expected to succeed with Guardiola’s guidance. For now, though, the academy will also play a huge role in attracting talent from elsewhere too. Home-grown doesn’t necessarily mean home-born and City will know all about that technicality – first-team left-back and France international Gaël Clichy counts towards their home-grown quota due to his upbringing through the ranks at Arsenal. Therefore, diminutive playmaker Manu Garcia, promising full-back Angelino, creative midfielder Bersant Celina and several others who are on the cusp of a promotion would classify as home-grown when they turn 21, should they meet the demands of top-tier action. It means that outstanding youth players, despite their nationalities, are being courted with a view to the ultimate agenda for those at the Etihad: to develop a squad of which at least half consists of home-grown players by 2021. Ex-Barcelona executives Txiki Begiristain and Ferran Soriano have clear aspirations of making the Etihad Campus one of the most successful footballing compounds in the world and are moving in the right direction towards their ultimate goal: replicating the successes of their time at Barcelona in an attempt to dominate on both a domestic and global scale. It seems like a daunting task, but the likelihood of such an accomplishment seems a whole lot easier with former Barça boss Guardiola. There is an unequivocal desire for glory. The 45-year-old will undoubtedly have the resources at the Etihad Campus to cultivate a yield of young promising footballing talent, something that City will reap the awards from for years to come. Guardiola has a reputation of championing young talent and, although he has failed to promote a single youth player directly from Bayern Munich’s academy in his three-year tenure with the German giants, he has placed his trust firmly in youngsters Kingsley Coman and Joshua Kimmich. The pair, signed from Juventus and RB Leipzig respectively, were an integral part of the Bavarian outfit’s squad in the season just gone and demonstrate the faith that Guardiola has in the younger players at his disposal. And there is hope in Manchester that Guardiola holds the key to unlock the obvious potential within the academy setup that is so apparent. Rumours suggest that Guardiola struggled to accustom himself to the political customs of Bayern, which saw Toni Kroos sold to Real Madrid against his wishes. It is, however, expected that the Spanish coach will receive the full support of his closest friends Soriano and Begiristain, who will be pleased to welcome his youth-orientated philosophy. City want to be producing the cream of the crop when it comes to young talent, although it is unlikely that their squad will ever comprise of players who have all been produced at the Etihad Campus. A ‘slash and burn’ approach could be adopted by Guardiola and would be beneficial, removing the deadwood of ageing players in order to grow new crops of talent. Meanwhile, the club are adamant that the new facilities are in line with their aspirations and will play a key role to “secure our future as one of the world’s leading football clubs”. Only the best of the best will rise to the top. The Citizens have already sold outstanding products such as Marcos Lopes and Denis Suárez, both of whom were initially deemed to be good enough and were touted with big futures in sky blue. Ultimately, it must be noted that the development of players is a long-term procedure. The seeds have been planted and, for now, we will have to wait. Not everybody will survive the growing process. In fact, not many will. Only time will tell if City’s next generation of academy products will be a prized possession or an elaborate catastrophe. But for now at least, it all seems rather promising.